E te iwi o Maniapoto. Following the successful event of The Meet the Candidates Hui, all sixteen confirmed candidates were provided the opportunity to present themselves to the iwi and discuss why they should be generally elected as a trustee to the Maniapoto Māori Trust Board. Key themes that came through from all the candidates were cultural identity, skills they could bring into the organisation and future iwi aspirations. The Meet the Candidates Hui was also live streamed on the Maniapoto Māori Trust Board Facebook page. This allowed the candidates to present in front of the physical audience who traveled from near and far and provided an opportunity to reach 90% of the iwi who live outside the rohe. As a follow-up, the questions that had been put forth in front of all candidates will be shown below and an additional page will be displayed below with each candidate’s responses. 1.With 90% of our Iwi members living in urban area’s, how will you ensure equity of effort and distribution of resources between our rural and urban spread whānau? It will be a challenge to scope , prepare co design a urban and rural effort for the MMTB the positives are the Tainui Games (Maniapoto marae do it different they combine the maraes of the Maniapoto, Rereahu and central Maniapoto at these games and have been in the top honours for these games, Maniapoto Games where the people of all ages and from many locations gather to compete, be informed, see, hear and value Maniapototanga , Maniapoto FM as a voice to unify the listeners and users on the day to day week to week, month by month events, activities thoughts and past and future dynamics of Maniapoto, Māori TV as a portal to better inform Aotearoa on the heart beat and pulse visually of Maniapoto journey going forward or re establishing what we need to know and why this brings the wider Maniapoto urban and rural on cultural focus on education, health, especially environment, business, plans of a Maniapoto marae aspiration future for their descendants. Brother google and all online technology. There is no top down solutions for Rereahu Maniapoto to the Kawhia foreshores its a whanau (urban and rural) marae (rural and townshuip) hapu (rural and urban) up approach to get the message and information to all the connected and affiliated peoples of all ages to be included and participate in all matters for the benefit of Maniapototanga.Rural people and whanau have to migrate to urban or township locations. Rural areas that under the MMTB tend to have a lower or poorer socio economic conditions ie less education, employment, health etc MMTB would need to explore strategies that have worked else where or create, or navigate systems that have worked. Prepare a stock take of Maniapoto takiwa community needs rural to urban or urban/township resources to give access to either 1. align assets and values of the rural needs, the access to the rural cultural values, matauranga, nako of the home or ahikaa rural assets and values to the urban/overseas whanau and hapu tamariki to koroheke and kuia. Prepare a agreement from Rereahu with Maniapoto central onto the Kawhia an agreements of roles and co design a hub or core where all parties can share and work in unity to assist and manaaki understanding what helps and what can deter progress toward improving assumed priorities. Enhance marae to achieve their dreams, aspirations and goals from Rereahu to Kawhia these are the pou of our people these are where we come home and either be introduced or seduced as a space of belonging to ….our home. Regardless of where iwi members reside they all will have access to I benefits derived from treaty settlements. The method and proportion will be determined by the PSGE. I hope to develop a full needs assessment for our iwi in order to I understand where our whanau are (which we currently are aware of anyway) and other demographics that will allow us to identify where sensitivity points are in the iwi. I will aim to focus more on the social demographs such as household income, age, school year, kaumatua etc. as opposed to physical demographic and then proceed trying to make an improvement. Although physical demographs play a significant part, I think more emphasis needs to placed on what our whanau are doing and where they need support. I think whoever is successful in being appointed to the board needs to represent all of Ngāti Maniapoto me ōna hapū maha, mai i te Rohe Pōtae, kei waho i te Rohe Pōtae rānei. That includes our whānau in rural areas as well as in urban areas. To do this the trustees will need to be vigilant to ensure no one group is being given preference over another. The wrongdoing of Government took from Maniapoto Iwi our culture our mana and all that we once were. (Strong mana motuhake Maniapoto Iwi). I believe by investing in the revitalisation of our Culture ie Te Reo, Nga Waiata Nga Tikanga we all benefit. I also believe ngā Hapu must have a voice in the decisions that are made in regards to this question all Maniapoto uri affiliate to a Hapu and Marae within Maniapoto. As a Trust Board member, maximising the assets and minimising liabilities (as I highlighted in the Te Ture Whenua Maori Act 1993 and the Trustees Act 1956) to the best of our ability as a Team would be a key goal. A key principle of a Trustees’ duty is Impartiality, in that trustees must treat all beneficiaries with the same degree of fairness, and that the trustees are there to act in the best interests of all the beneficiaries. This accommodates equity of effort and distribution of resources supporting interests of our registered members based in both urban and rural areas in Aotearoa and also those overseas. In my Candidate Profile, you will note I have highlighted my support of the Maniapoto Hui-a-Iwi via the Te Kawau Touch vehicle participation example (the last Eight Iwi Festivals) reflecting “urban-based Iwi members arriving Labour Weekend, supporting Festivals core focus, promoting the return to Maniapoto rural district”. Despite 90 percent of our Iwi members living in urban development areas, the 10 percent back home in Maniapoto rural district are important as they are our ‘ahikaa’, and so “keep the fires burning” maintaining our regional Maori economy including supporting our Marae, and so are valued. In saying this, I am a supporter of opportunities available for all Iwi members, which the MMTB and Maniapoto Fisheries Trust (also Trusts within the Maniapoto rohe i.e Te Maru o Rereahu Trust, Ruapuha- Uekaha Hapu Trust, and Waikato-Tainui respective entities whose legislative boundaries extend as far into Maniapoto Central Region) have provided for, via grants/scholarships/funding to applicant beneficiaries/registered Iwi members, etc. I would make a Grant available to each eligible city/town organisation to provide for their hui in respect of communication to and from. The total grant would be fixed and distributed via the number on the register, resident in that city/town. The Tribal Register provides The Board with access to statistical data/ demographics for all who are registered. I think it’s important to strike a balance between supporting hau kāinga to maintain our tikanga and kawa, to maintain their own repositories of knowledge in whakapapa and kōrero tuku iho pertaining to their mana rangatiratanga around our marae and on the whenua and wai, and providing support to the 90% living elsewhere. At this stage, I think it is a bit premature to be talking about the distribution of resources. The priority in terms of resources I think is to 1. Grow the resource; and, 2. Identify initial strategic priorities and support staff to action those priorities. As a Trustee, you are responsible for all of the beneficiaries and not anyone demographic statistic of the beneficiaries. Therefore I will be ensuring equity for all. 2.Can you please identify and name the top 5 candidates whom you would be most pleased to work with? I see 16 committed nominees for the people to decide and from the people’s choice I would if successful be pleased to work with. I wish to work with people who won’t warm a seat, take the role seriously and trustees and RMC at a positive yet open to discuss and decide an outcome an action and can do attitude. Statements are important but precise questions and robust and well-designed solutions to address MMTB matters that need to be resolved. Not appropriate to supply an answer. Wikitōria Tāne, Derek Wooster, Bella Takiari-Brame, Glenn Tootill, Missy Te Kanawa. Ultimately it is up to the iwi and I will work with any of the candidates. In saying that, to provide continuity, I would be particularly pleased to work alongside the trustees I worked with in the previous term. Representation should reflect multiple skills to include financial and I legal competencies. A board should not have an overload of one particular skill. A board should include open-minded thinkers, individuals with proven records of commitment to the people. I am reluctant in identifying candidates whom I would be most pleased to work with, however, acknowledge all MMTB personnel the past 40 years who have worked very hard contributing to the position MMTB are at presently. The board comprises 15 members, 7 of them I RMC, 1 Kaumatua Kaunihera and 1 Arikinui who will all bring their particular viewpoints and aspirations of their “Constituents” to the table. Because the 6 Generally Elected members don’t have “Constituents” per se’, I would be most pleased to work with another 5 who would bring different viewpoints and aspirations to the table. It would be sad if all 6 had the same viewpoints and aspirations. I support Corey Wilson (part of Nehenehenui RMC’s succession plan) as an up and coming leader who is already working with iwi, hapū and his marae – and brings to the table his own skill set from the corporate world and a fresh perspective as a Rangatahi that is not skewed by other reanga representation of the Rangatahi worldview, and who wears the korowai (figurative) of his koroua and kuia with strength and humility. I support Derek Wooster because of the wealth of knowledge and experience that he brings to the table. I support Bella Takiari because she has shown her value as an incumbent Trustee. I think she is well grounded with her whānau, marae, hapū and this comes across in her sincerity when engaging with whānau. I support Gannin Ormsby because I believe his whāinga is similar to mine – that ensures the ahi kā are supported to be the foundation that helps to ground and connect those living rāwaho. I agree that the nominees that Are up for election have a active connection and involvement that would embrace multiple marae and hapū throughout Maniapoto to me this would be a definite plus, it would be a huge advantage if you have these connections and networks so that the MMTB business can be undertaken fairly at the table for each takiwa marae hapū and wider Maniapoto descendants outside of the rohe. A skilled and proactive trustee is very important, at this phase of MMTB expertise and experience is vital to ensure that diligence leading up to the closure of MMTB is seamless. Rangatahi could be in a observing capacity not so much a trustee capacity and kaumatua more leadership in a cultural face and role when interacting with Maniapoto and ngā mata waka whaanui to support MMTB in is cultural settings and interactions with the hapū, marae and iwi business leading upto the establishment of the new PSGE. Yes. Agree to both questions. Yes I agree and I think naturally this may occur if the makeup were I represented through the nomination of candidates but nominated candidates appear to reside more or less only within the Maniapoto- Waikato area. I agree with both comments. At present, the board allows a specific I space for kaumatua which I agree with. Going forward, in terms of the Post Settlement Governance Entity I am particularly keen to see there is specific representation for rangatahi. I believe that representation should comprise of Maniapoto Uri. I also I believe the Board make up should have rangatahi and kaumatua representation. If I did not agree with this question, that could mean a process reflecting status quo electing its board members being ineffective. In my view, it is effective, and has provided an opportunity for registered Iwi members/beneficiaries (who do care) to vote for a candidate who they feel can represent their interests moving forward. Considering I have just acknowledged all MMTB personnel the past 40 years who have worked very hard contributing to the position MMTB and Iwi are at now (which is a mandate being achieved and an Agreement in Principle signed, and the fact that Trust Board Members and MMTB kaimahi will work hard to ensure the aspirations of Maniapoto forward) the Trust Board for some time, as seen with our Board Members from Regional Management Committees (whom are elected in their respective regions via a voting process), arguably representatives reflecting ‘all’ of our rohe of Maniapoto has been achieved. In my experience and knowledge, Trust Board members have historically reflected a fair indication of the current make up of Iwi (i.e rangatahi and kaumatua). Examples are: My father (Pat Taylor) in the late 70s/early 80s being a Rangatahi Representative along with others supporting MMTB; My Great Grand Aunt (the late) Heeni Te Wharemaru Te Teira, a former MMTB member in late 70s/early 80s, along with Grand Uncle (the late) Te Rua Anderson, two kaumatua at the time (and former advisors in 80s/90s/early 2000s of the late Maori Queen, Dame Te Atairangikaahu); My mother (Pia Searancke) in the late 90s and early 2000s reflecting an Adult Rangatahi Former MMTB trustee (of those times) and in the last several years, a kaimahi hardworking employee who works for MMTB that represents and supports the tribe; For numerous years kaumatua have been represented by the Kaumatua Kaunihera o Maniapoto, a linked faction of MMTB on behalf of the Iwi, and; MMTB opportunities have continued to support young Rangatahi at grass roots and so hear their aspirations. No, I don’t. Home is the Maniapoto Rohe as it presently is and they must lead. To me, the most important thing for all Maniapoto people is our Maniapototanga, (Tino-rangatiratanga, Mana motuhake, Kaitiaki, Mana tangata) which is what the youth and townies, in particular, seek. The home people must be provided with the resources to do so, which will draw the non-Hau kainga youth and townies back. The answer to this question lies in Q1. Again, I there is a need to strike a balance between the status of Maniapoto iwi as it is now with a view laying the foundation for a prosperous future for uri whakatupu. This should include Rangatahi, Pakeke, and Kaumātua. Trust Board members have always been representatives of whanau/hapu/Iwi and I agree this is how it should be. Every person over the age of 18 who is registered has the opportunity to stand for election. May I ask that each nominee have the opportunity to read the letter and than the question you wish to ask me, I may or will take the opportunity to answer my thoughts to the question you have. Pity this conflict has not been resolved. I have not received the correspondence. I am happy to receive questions from Charles Toa, despite only being a beneficiary of MMTB in 2014. Since I aim to be a Trustee/Board member in 2018, my answers may assist Mr Toa. 5.What is a good name or what is the right name for the PSGE? Ngā Poutiriao o Te Nehenehenui….its cool when you can explore hohonu and than simplify to noa so that you give back to all those that shared and explained how the most insignificant meanings are really the most profound once you begin asking a question which has a life time of answers. PSGE is going to be the leading edge rangapū to PROTECT and NUTURE by being the best they can be. A good and right name is one that can be easily spoken & written and with a message. Te Nehenehenui. This will ultimately reinforce the long term vision of creating an abundance of resource and supporting our whānau. Ehara au i te tohunga o te reo Māori, heoi anō, ko tōku nei whakaaro, ko I te ara tika ka kōrero ki ngā ruruhi me ngā koroheke o to tātou iwi. Mā rātou hei whakaingoa te PSGE i tētahi ingoa Maniapoto. I am keen to see our kaumatua and kuia consulted regarding the appropriate name that reflects us all as Ngāti Maniapoto. I believe this needs sometime to think about. I am reluctant in providing a ‘good’ or ‘right’ name for the PSGE however am open to exploring different names with meaning or hearing from other personnel or communities or beneficiaries regarding proposed names. The name would envisage significance for Maniapoto moving forward achieving our Iwi aspirations. I don’t think that’s for an individual to determine however, I think it should be something that takes into account the past, present and future, and it should have currency for all generations mō ake tonu atu. 6.How will you engage with ngā rangatahi katoa, and what steps will you take to ensure our aspirations are solidified into our future PSGE? Best communication I understand and observed that rangatahi favour is “show me the money, where is the money and most of all can I have some money” otherwise events, activities, social media and a major fascination with the gangster values. Our rangatahi do leave school early and I must say do go and get a job all be it a labourer or process working they do go to work. The provision of a benefit is the opposite and does damper the motivation of some or the possibility that being prospector is a more or better payment proposition. The positives is the whanau support for rangatahi MMTB can only mediate and mitigate the aspirations of the rangatahi via the whānau, hapū and marae vision for their beneficiaries. Firstly create positions on PSGE for representation on PSGC. Secondly, engagement via social media and thirdly promote meaningful engagement. As a rangatahi myself, I think engaging with other rangatahi will come I naturally. I would aim to hold regular wānanga with my whanaunga to ensure their voice is heard at the table and tangible outcomes are seen. In terms of engagement with rangatahi, I tautoko the efforts of the board to increase engagement with rangatahi through the livestreaming of significant hui and live Q & A on Facebook, as well as communication through the board’s website, Instagram and the E Tū Maniapoto app. One of the key steps to ensure rangatahi aspirations are solidified was to listen to those aspirations as part of the recent hui both inside the rohe and in the motu. One specific example I am particularly keen to see come to fruition is specific representation for rangatahi on the PSGE. Develop a communication strategy that will ensure the voice of I rangatahi is heard. Include social media and youth forums. Ongoing Maniapoto annual sports events, encourage youth expos. It is the Boards responsibility to care, nurture and support the Iwi as a whole. I believe all whanau dream and have aspirations the beginning of this process of solidifying into the PSGE is at Hapu level via a Hapu aspirational strategy. The overarching Iwi aspirational strategy should be a reflection of the Aspirations of Nga Hapu. Despite differences that will arise there will I believe be common ground in most instances and what better place to begin. Robust iwi discussions with integrity will decide priority, long and short term aspirational outcomes. Maniapoto rural district and at urban development (outside of Maniapoto) interests me. Kapa haka, sports, health, education, and employment are key kaupapa that are drivers of an Iwi. Having relationships and effective engagements with our communities locally like early childhood education (incl kohanga reo), schools (incl wharekura), youth groups (incl those funded and facilitated by Te Puni Kokiri), religious groups (incl churches), gang representativess (incl those of Nga Whanau o Nga Mangaru), lay advocates, social workers, various Govt Agencies and maintaining an awareness of rangatahi involvement will assist engaging with ‘nga rangatahi katoa’. The steps I support ensuring our rangatahi aspirations are further solidified into our future PSGE are reflected in the current Agreement In Principle under Agreement 6- Ahumania: Relationship Redress. Ahumania acknowledges and supports the aspirations of Maniapoto for enhanced relationships with core Crown agencies. For Maniapoto, the basis of this relationship is reflected in 6.3: Te mana o Maniapoto me ōna hapū maha – ko te oranga o te iwi, kei roto i te iwi, ko toku oranga kei roto i ahau. Homai he huruhuru mooku ake, maaku anoo tooku nei korowai e whatu, e whakanikoniko. Homai he raakau mooku ake, maaku anoo tooku nei whare me te whare o te Nehenehenui e hanga. The prestige, recognition, and authority of Maniapoto and its many hapuu – the tribe’s wellbeing is in the tribe’s hands, my well being is in my hands. Give me feathers to use and I will weave and adorn my own korowai. Give me wood to use, and I will build my house and the House of Te Nehenehenui – with access to and use the necessary resources the tribe’s and my wellbeing is assured. I think a sub-komiti of the Board should be set up and funded for Rangatahi delegates from each city/town/hau-kainga, to participate in and to provide for the 2 way communication you seek. Rangatahi have the opportunity to attend and engage with Trust Board members at hui held throughout and outside of the rohe. To ensure Rangatahi aspirations are solidified into the PSGE attendance by Rangatahi at the Rangatahi wānanga 8-9 June 2018 would give you a prime opportunity. 7.What is a good name or what is the right name for the PSGE? 8.What is your vision for Maniapoto and how are you going to achieve it? For my tamariki and mokopuna to be connected to their hapū and marae at the back as a worker and if earn’t at the front in a paepae role. My tamariki and mokopuna to be fluent to speak and think in the mita of our whānau and hapū to maintain our uniqueness with te reo tupuna. I will achieve this by involving and encouraging my whanau whaanui to attend and support whanau activities, events, wānanga, hui a iwi that are our held at our marae. To ensure my tamariki and mokopuna warm our marae by always coming home to them and see our marae as our healing and energy portal to keep us grounded and as much as possible be available to give and offer 100% plus service with aroha as hosts to visitors. To move and represent our hapu and marae as a unified collective when representing our hapu and marae. To have my tamariki and mokopuna learn and know waiata and pakiwaitara that are important by the location and placement of our marae and people. To lead karakia, to know their pepeha and relevant whakatauki. Building respectful, purposeful, achievable relations and objectives for entire iwi. My vision for Maniapoto is “wealth”. A holistic view of wealth through all spectrums of our livelihood from healthy whenua and awa, thriving reo me ōna tikanga, visible opportunities and development of our whānau and a clear identity of who we as Maniapoto are. All supported through a financial framework that allows us to operate sustainably and self servingly (as in we are supporting the creation of our successors) into the future. My vision for Maniapoto is a strong, healthy, vibrant iwi. 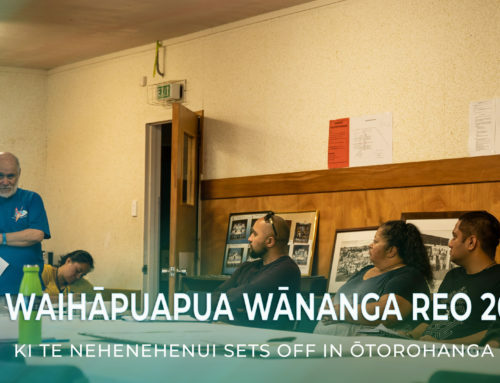 To that end I recognise that the settlement will not be the panacea of all our worries, however, it may be a catalyst to be able to address a number of the aspirations the iwi indicated were important as part of the Maniapoto 2050 hui held in 2016. At the end of the day only Maniapoto can achieve this vision and so I would like to see the PSGE empower our people to achieve the vision (hand up), rather than simply pay money out (hand out). My vision if elected would be to build a vibrant Iwi where all Hapū and whānau have the ability to develop and sustain the quality of life that they aspire to. I believe I would achieve this by listening to the voices of whānau and Hapū and supporting Hapū initiatives, I would advocate for proper resourcing of Hapū to enable them to strengthen and build their capacity to do this. Improved housing opportunities accessibility and affordability. Creating employment opportunities and access to affordable healthcare. I would encourage board relationships with Government Ministers to support our Maniapoto Iwi developments at the same time utilise my own networks already established. I do believe much of the capacity building should be post PSGE. , Unfortunately the Social Wellbeing of Iwi was something the previous Board neglected to address and the inequities between our people and others are huge. My vision for Maniapoto is similar to the one shared in the Agreement In Principle under Agreement 6.4, in that: Maniapoto are developing a 40 year vision and strategy based on “Maniapoto 2050” for achieving the social, economic and cultural aspirations for the individuals, whanau and hapu of Maniapoto (Maniapoto me ona hapuu maha, te whare o te Nehenehenui). Maniapoto seek to develop a relationship with the Crown that will improve specific metrics of health, wellbeing and success so that Maniapoto outcomes are demonstrably improved and at least equal to the outcomes of non-Maori. Having been involved in Whānau Ora initiatives the past 12 months, I am in support of a vision that envisages normalising good health and wellbeing, innovation, entrepreneurship, sustainable employment and success for Iwi members. My vision supports Maniapoto the next 40 years (where I will be 77, and hope to be alive still). An ultimate goal of becoming an Iwi (not only renowned historically for being great lovers but eventually) with the best mothers/fathers/Rangatahi caregivers in Aotearoa, is exciting. My Vision is to have strong home rohe’s (Constituent areas of collective Hapu & Marae & Whanau), connected to its peoples in order to foster and maintain their Tino Rangatiratanga status (Identity & Culture), Kaitiakitanga status (Environment & manaakitanga) and Mana Tangata status (Social -Health, Education, housing etc). It will be achieved if we provide for their participation and involvement in the negotiations, pre-settlement structuring and post settlement involvement, now. There are others better able to speak to the economic growth of the Iwi. My vision is for a prosperous Maniapoto in all sectors, education, social, sciences, oranga taiao, and equally it is an iwi strong in its Maniapototanga – cultural understandings, its mātauranga, whakapapa, tikanga, kawa, kōrero tuku iho because just as an idividual is strong when he know from whence he comes and what he stands for, then too does an iwi. I would make the further development and alignment of Tribal Register, Taonga Register, Te Reo (me ōna tikanga) Strategy, Whanaketanga o Te Taiao a priority. My role as a Trustee at this point in time would be to transition from the Trust Board to the PSGE. Therefore my vision right now is that we set up a robust, financially sound and Iwi approved PSGE. At the same time I will support the Board’s ongoing commitments to Iwi. 9.What are your thoughts as to what the future (tribal governance entity) should look like and why (structure)? 1. Tribal direction is developed and communicated continuously to Ngāti Maniapoto Rereahu and Kawhia with opportunities to participate encouraged. 2. Assurance communicated to Rereahu, Maniapoto, Kawhia and the King that tribal management structures and operations are monitored and working to set standards. 3. Progressive people relationships and practices are evident in Rereahu Maniapoto and Kawhia operations. 4.Plan to be reset annually following a performance report and a relationship review. A structure that will respond and listen to all of Maniapoto regardless of gender, age, sexual orientation, occupation and societal status. This should follow what the iwi decide on being the “vision” for Maniapoto and should allow the best and most efficient way to achieve that. Going from my response to the vision, entities will be created separately to look after the commercial (income generation) kaupapa and the iwi development kaupapa in line with strategic objectives. The iwi development arm will be a charitable entity by nature and will receive tax benefits. All settlement assets and mana whenua will remain with the PSGE as ‘protection’. In terms of what I think the new tribal governance entity should look like (make up/representation on PSGE) I would like to see an tribal entity that includes representation from ahi kaa (within the rohe) and members at large (anywhere in the country). I also think it would be useful to have independent experts fill skill gaps. Ultimately, for me, representation across all of our iwi is necessary if we are to be truly representative of Ngāti Maniapoto me ona hapū maha. PSGE should should be reflective of Maniapoto Claimant group,and is fully accountable.to the whole claimant group. Integrity, transparency,honesty and committment to the best outcome for all Maniapoto Iwi. Must be transparent in its decision making and dispute resolution procedures. The structure will ensure proper processes are adhered to in particularly when investing money long and short term and must be ratified by the claimant group..To work collaboratively to advance the environmental cultural and economic health and wellbeing of Maniapoto. There are various models to be considered as a Waka for the Treaty settlemen When deciding it must be in the best interest for Maniapoto. I am reluctant in being detailed regarding my thoughts what the future tribal governance entity should look like and why (structure) however having seen the developments of successful entities that represent a large number of beneficiaries (into the thousands) like aikato-Tainui and Ngai Tahu, a similar model approach (to these) I am a supporter of. Maniapoto are reassured that in the Agreement in Principle, under Agreement 8- Tahuarua me Te Paepaekura: Financial and Commercial Redress, provides in 8.2: The of settlement is to provide that the Crown will pay the governance entity on the settlement date the financial and commercial redress amount of $160,000,000.00 less.. including Potential commercial redress properties under 8.3 states: The deed of settlement is to provide that the Crown must transfer to the governance entity on the settlement date those of the properties described… that the parties agree are to be commercial redress properties. The potential commercial redress properties to be transferred to the governance entity are licensed land.. Forestry is one example of licensed land transferred. With Labour Party Government initiatives announced recently (re the planting of “One Billion Trees” in Aotearoa) with 14million dollars in the Budget towards a ‘Uru Rakau- National Forestry Incentive Fund’, whilst Maniapoto are developing its Treaty Settlement and PSGE, the Iwi will also learn from the commercial benefit sustainability of forestry (bearing in mind land being returned). Having a working team with professionals maintaining and building the Commercial Arm is the most important branch long term under the Tribal Entity, as the mana of economy, and the Iwi’s commercial viability must be successful in order for self-determination being achieved effectively (as has been the case for Waikato-Tainui and Ngai Tahu), thus enhancing the vision for “Maniapoto 2050”. One central body for all common assets, the governance of which will comprise 2 representatives from the home (Hau Kainga) rohe’s. This is pre-requisite to my vision mentioned in qn 7 above. You’d be hard pressed to find a structure that is fairer than that which is already in place. But it needs some shoring up in terms of two way accountability (RMC&Governance Entity), resourcing of RMC’s to do their work to support marae/whānau, and the inclusion of a Rangatahi Council. The Entity should show leadership in this area. Why do I think it’s fair? Because although 90% of the iwi live rāwaho, their strength as uri o Maniapoto comes from their knowlege and understanding of who they are. That mōhiotanga sits with the hau kāinga. It may be a romantic view, and others may disagree but we know strong people are people who know who they are and they are the richer for it. All of the other pukenga can be obtained through mainstream teachings, but mōhiotanga about who we are as uri of Maniapoto ircan only come from their puna tūpuna. So, if the other half of the entity is made up of generally elected persons that gives those living out of the rohe an opportunity for representation. My thoughts are for the new entity to adopt the current set up. Ie Regional Marae representation along with generally elected representation, kaumatua, and Te Ariki representation. This model may be heavy in numbers but one that has been shown to work. This allows for both ahi kā an those who live outside the rohe to have input to the direction of Maniapoto. 10.Ka pū te ruha, ka hao te rangatahi – succession planning and leadership growth. How can we grow leadership of our uri whakatupu, rangatahi, to fill the roles and responsibilities of our past and present trustees – now? The young people return to the marae to meet and ask themselves, how is the well being of the marae, where are all people that we need to engage with, undertake an inventory of themselves and ask what’s missing. When I was growing up we always HAD to go to the Paa it was not a choice it was not what you consider ask and see if I want to or not. We have a new challenge and that is who is? where is? what is? how is? questions the rangatahi need to ask. The elders, the parents, the tamariki are going to give our young to build a relationship that includes and entices our rangatahi/taiohi to rightfully take their place at the marae for the marae for the hapu. I would recommend FUN ideas to start the ball rolling ….now ask the rangatahi and taiohi what would that FUN look like and what would it be…if its not fun than PlayStation and all technical distractions will prevail. Or is a inter marae PlayStation game challenge away to get some runs on the board. MOTIVATION drivers, music, festivals, global guest speakers, famous people with poor beginnings and becoming legends, sports for the athletic, Locating Maori TV to the Rohe Potae, marae inter challenge on what ever the youngies think would inspire them; debate challenges on hapū and marae history and aspects between young and elderly(must be a free for all) I would be definitely interested in the portfolio that covers the way forward. I would as a MMTB rep work hands on alongside our rangatahi and taiohi…I’m a Koroheke wana bee young fulla i guess. While provisions may be created for rangatahi they have to pick up the challenge and earn the right for the responsibility. – Similar to the RMC structure, i think a “rangatahi management committee” with a representative elected to the board would be great in establishing a connection with the Board but also to ensure succession planning and the rangatahi voice is present in all decision making. E tautoko ana au i te whakaaro: “Ka pu te ruha, ka hao te rangatahi”. We can grow our leadership now by encouraging our rangatahi to be active and involved in iwi matters. Going forward I would like to see a specific seat at the table on the PSGE for rangatahi, heoi anō, kei te iwi te mana. Hapū and whānau to initiate rangatahi wānanga on Maori Leadership. Marae based Leadership Wānanga acoss Maniapoto. 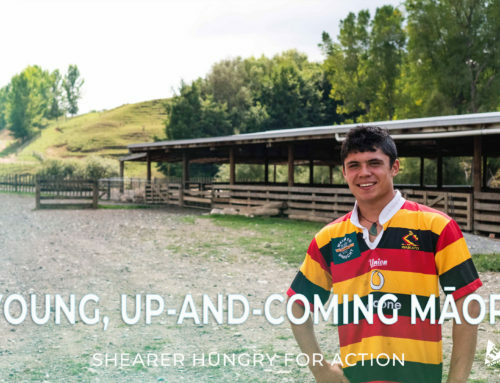 Identify young Maniapoto leaders and provide Mentoring programs. Maniapoto have been successful historically in whānau, hapū and iwi, developing initiatives that empower its members. A key target audience are rangatahi in respective communities. Succession planning and leadership growth will suffice if we continue to work hard collectively and build opportunities for rangatahi, and then eventually they will fill roles and responsibilities of our past and present trustees with “Maniapoto 2050” in mind. The Wrangler’ system of selecting potential leaders and immersing them in the organisation. See Q5. We need to engage suitably qualified persons to drive the succession plan. There is a wānanga being held for rangatahi on the 8-9 June 2018 and perhaps this question can be raised there. Trust Board meetings are public meetings and open for anyone to attend. I would suggest rangatahi wanting to grow their leadership attend any one of these meetings to grow their own experiences. A suggestion could also be to establish a Rangatahi Development programme/strategy. 11.For new nominees to the elections, what do you think is an area that you are passionate about in advancing our Iwi? MMTB Co-design a concept draft infrastructure and collaborate alongside the takiwa across the Rohe Potae via hui as per the settlement process, hui interaction and participation process follow up on what is the concept of the PSEG transforms into via the engagement. Work alongside and seek advice from Maori or best practise organisations that are ahead and have the right tools and resources to prepare the best PSGE organisation to lead and manage our future affairs and people Making sure that the MMTB also prepare a closure and audit to finalise a seamless way forward for PSEG to continue a new journey for the betterment of the people and the rohe. The PSGE is only one of many authorities engaged in advancing the rights and prospects of our iwi. My passion is best noted through my vision (Q7). Growing the “wealth” of Maniapoto through all areas of our livelihood supported through a robust framework and sustainable investment. In terms of a particular area I am passionate about it is marae development. Having our marae healthy and thriving that in my opinion will draw more whānau back home and increase our feeling of identity. I am particularly passionate about resolving a number of significant take our iwi currently face in this generation in order that our tamariki and mokopuna do not have to. Other than this, I am keen to ensure our tamariki and mokopuna have the best start to education, at least on par with, if not better than, non-Maniapoto tamariki. That way future generations will be better off. Health and Social Wellbeing of Iwi. Address the inequities that exist between our people and others. Strengthening whānau and hapū capacity to enable whānau to access affordable and improved Housing opportunities, Advocate for affordable Healthcare in particularly specialist healthcare. Strengthen relationships between whānau, hapū, Iwi connectedness is paramount. An area I am passionate about in advancing the Iwi is the Revitalisation of the Maori Language in Maniapoto. More speakers confident enough to fill our paepae and kaikaranga developing are two core roles on a Marae that need addressing bearing in mind “Maniapoto 2050”. To analyse and determine the purpose of organisation. Is it the MANA or is it the MONEY! Connecting our people and bringing to the forefront the building of cultural competence – see Q7. Having a PSGE that is robust and financially sound and where capital is not eroded. 12.Where do you think the last Board members failed and what would you do differently? To be fair I am not very familiar with the previous boards outcomes but am impressed by the online stream included in their efforts to get to inform or interact with the people over the past year. The MMTB web page is also a great pānui to keep a lense on what is happening going to happen or has happened. MMTB facebook page and MFM are also very valuable over the past 2 years. Focussed too much on Treaty Settlement issues and failed to acknowledge the present. I think the last Board members did well in innovatively reaching out to the iwi through having a strong presence online. I personally hoped for a greater agreement in principle quantum however to suggest the Board failed is to not acknowledge the efforts they made to get us to where we are now. I hope to use the platform the Board has left us and grow even further in terms of reach, development and economically. As a previous Board member I do not think we have failed. Rather, I think there are a number of learnings which will hopefully guide the new board going forward. One of those is around communications and the need to keep our iwi fully informed. This will be particularly important over the next term of the board as we transition into the post settlement governance entity (PSGE). The board are to be commended for their work toward the Treaty Claims. However an area that they failed to address were the Social Well being inequities suffered by whānau. Housing, employment, issues of poverty. If I was a Board member I would have advocated to resource hapū and whānau initiatives to build their capacity to overcome the issues that impact negatively on whānau well being. in this way we grow our people to lead in their own right. Leadership does not sit solely with board members Maniapoto have leaders within the iwi within the hapū who can be identified and resourced to help the board build the capacity of its people in readiness for Treaty settlement. I like to believe previous land board members have not failed in anything. Maniapoto are in a privileged position moving forward. As in a previous answer, I have acknowledged MMTB personnel from the past 40 years. This is our opportunity collectively to make this work and also increase the roll of beneficiaries supporting the duty of Trustees maximising opportunities for its beneficiaries. In hindsight however, despite the disappointment of Maniapoto not fighting a little harder over the years for interests and commercially viable assets that could have been returned under the settlement, this is the now, and we are opportunists under the Agreement in Principle. Despite the past counting for something, the future more so will count for a lot. Continued success, not failure, hopefully is on the horizon as we approach “Maniapoto 2050”. Since 2011 the MMTB has been promoting life after the settlement. What it has failed to do since, is recognise that life after settlement is directly influenced by the positive engagement of the leaders of the times as it is they who will guide and lead the people of tomorrow (Whānau, Hapū, Marae). One can buy the skilled people to help, you can’t buy the Mana, Wisdom, Experience and Mātauranga of the leaders. Little has changed. b) How would you do it? Support the teaching – teacher and resource supply – and use of te reo Maori in everyday life – at home, school, work, social, retail. – Look at partnering with established reo education providers. One of the take I supported in the previous term is ensuring the board focus on enabling, connecting and facilitating opportunities for Maniapoto. To this end, rather than the board attempting to do the mahi itself, I would like to see our other Maniapoto entities who are experts in their respective fields complete this mahi, supported by the board. For Te Reo I would like to see the board support Maniapoto FM who are experts in this space. One of the ways the board can support is providing financial support where available. Encourage Te Reo Wananga across the rohe,support our Kura Kaupapa Nga Kohangaand Maori Media acoss Maniapoto, Mobilise and support our kaumatua who are known to have the fluency in Te Reo me ona Tikanga to Wananga with our rangatahi our tamariki many of our elders who have this capability require awhi to get from here to there. This is one way we support mai nga kaumatua ki nga tamariki mai nga tamariki ki nga kaumatua. We have to think innovatively and develop meaninful relationships with institutions to achieve the outcomes that Maniapoto whanau aspire too. In this instance Te Reo Maori. Bearing in mind there is already financial support from entities such as Waikato-Tainui (via Te Kuiti Pa Marae Grant), Te Wananga o Aotearoa, Te Awanuiarangi, Maniapoto FM, Te Mataawai, Te Puni Kokiri and Ministry of Education (ie Kohanga Reo and Te Wharekura o Maniapoto) for Revitalisation of Te Reo initiatives in Maniapoto Rohe, and so it appears, the Board and its Trustees not as attentive towards Te Reo kaupapa in 2018 in contrast to 2017, if elected as a trustee, I will be happy to explore providing financial options for this kaupapa. Highlighting to fellow trustees the allocation and need to develop specific whaikorero and kaikaranga orientated wananga funding and investing in our promising rangatahi in Maniapoto rohe, being under the guidance of our Adult and Kaumatua expert/advisors, this would empower our Iwi members and support “Maniapoto 2050” vision. My answer would be to establish a reo me ona tikanga strategy. 14.How will you ensure that anyone with fraud convictions or the like, do not have any positions of authority on the Board or with $$? The current process and strategies I assume have this risk covered. I was requested to fill in a criminal history application which I assume is to cover exactly what this question refers to. There is a police vetting process in place and anyone with such a background shouldn’t even reach nomination stage. This should be a direct requirement that a person must not hold any convictions of dishonesty. In order to avoid any person with fraud convictions getting on to the board each candidate is required to complete a Request for Criminal Conviction History form to release a copy of any criminal convictions. Every board member will undergo a police vetting to ensure the individual has no criminal convictions. Letting due process taking its course will suffice, and if someone has been convicted, I will support the stepping down of that individual (subject to the rules and collective decision of fellow board members influencing that board member to step down). The board can do a police check, a justice check, a companys check, and other checks going. I believer there is already a process in place to address this but I am not an encumbant Board member. This is governed by the process of how Board members are elected and also the annual Charities checklist for sitting Trustees. MMTB has succeeded in laying the foundation to begin answering this question. The online skype and video connection for all peoples anywhere in the rohe, in the country NZ and overseas to lock into the MMTB facebook page. This is a great and huge start to the better use of technology in place of the unbeatable kanohi ki te kanohi approach. Teach people to fish technique. Its not perfect but a tweak here and there and we should get better. I can’t think why this question should be posed to the very few who do reside here! Ultimately we are elected to represent Maniapoto as a whole and i will keep this in mind in all decision making. First thing on the agenda for myself will be gathering an understanding of the demographic of our iwi and the needs of different parts of the demographic. This will educate my decisions based on needs of the whanau. Also ensuring i am available and consult with the different parts of the iwi regularly. Setting and unveiling of the strategic plan will ultimately give us mandate to operate within these parameters. Establishing annual plans that breakdown the long term plan and then reporting on these will ensure regular accountability to the iwi. I am currently residing outside of the rohe. In order to represent those within the rohe I am open to listening to those within it. In particular, given our current arrangements with RMC representatives, I think it is incumbent on those RMC representatives to represent the whānau and hapū from which they are appointed, and for the rest of the board to respect the views of those at home. Maintaining open communication processes utilising the communication strategy already set by the Board. Despite residing in Kirikiriroa/Hamilton, 50 minutes’ drive away from Otorohanga (where I occasionally see an Aunt and Uncle), and one hour drive away from Te Kuiti (where I visit and stay with my Father regularly), I have highlighted in previous answers how effectively I propose to represent beneficiaries in (both) rural (whilst based in urban) settings. As a candidate for one of the general seats, effectiveness of representation for me will be that I represent all of Maniapoto. 16.What do you believe are the most important needs of the whānau, hapū, iwi for the future? Sufficient security and support, warmth, nourishment, love and care, and opportunity. That’s a big question and it’s hard to zone in on specific issues. At a whanau level it starts with households that aren’t earning a “living wage” as well as declining reo. Hapū level our marae are hurting and lack succession planning. Iwi level there is a large amount of uri that are disconnected from the iwi. Overwhelmingly the response we received from the iwi during the Maniapoto2050 hui was that the most important thing for our iwi was our culture and identity, in particular te reo o Maniapoto. E tino tautoko ana au i tērā whakaaro, heoi anō, ko taku nei whakaaro ko te mea nui ko ngā tamariki me ngā mokopuna. As above, I am particularly keen to ensure our tamariki and mokopuna have the best start to education in order that future generations are able to prosper. Whanau Ora the total well being of the Whanau,Hapu and Iwi total. Back to basics assistance. Ie. Food, clothing, heating and necessary personal hygiene assistance (dental, medical etc). 17.What’s the rush with the settlement being done by the end of the year? No rush for me because I’d rather have a robust and transparent, along with ample representation, in place so nothing is lost or frittered away through trying to fit a a pre-determined time frame. What if we all did things before being ready? I don’t think there is. The only rush seems to be beating the rest of the rush. For me it just comes down to making sure we are happy with the settlement package and not feeling time pressures to sign off on a package we aren’t happy with. I do not believe there is a rush, however there is currently an opportunity (settlement) which presents itself to our iwi, which, if taken, I believe will be beneficial for our iwi. As above, settlement will not be panacea for all our worries, however, it can be a catalyst to achieve a number of our aspirations. As highlighted in my Candidate Profile, it is evident a gradual increase over the last 24 years of Maniapoto Quantum entitlements: “1995 Quantum 48 Million. 2010 via Tangata Whenua Witness Evidence TRPI, enhanced Maniapoto fisheries and Marae customary food gathering MPI opportunities. 2012 Quantum estimated 70 Million. 2015 Quantum confirmed 150 Million. 2008-2018 my involvement influenced the transcending of Maniapoto and Waikato-Tainui opportunities. Now entitlements nearing 170 Million Maniapoto (and via Relativity Clause, 190 Million Waikato-Tainui)”- This provides a narrative. Whether there is a rush or not with the settlement being done by the end of the year, well people will have their respective views or narratives across the spectrum. To my knowledge there are taxation dilemmas and other matters, with regards to the agreement in principle, and a Negotiator being appointed and paid by the Iwi under the settlement quantum. It is timely for the Iwi to receive a settlement by the end of the year, or by early 2019, so that we can begin working towards achieving our Iwi aspirations with “Maniapoto 2050”. With this vision in mind, addressing the needs of whanau, hapu and Iwi members will be enhanced. There is no rush. We have waited this long. The only loss will be the Money foregone. The greater gain is the unity of the tribe going forward and the durability of the final settlement. Settlement date will occur as the process unfolds. 18.Dan Te Kanawa said “he is happy where Maniapoto is today”. Everyone knows we got to where we are through process of hui and voting. A lot of those hui at marae, the hau kainga and claimants gave very clear direction what their thoughts were around the mandate. We will probably go through the same process of hui and voting for the PSGE and settlement. What would you do different? PSGE will be a full time commitment so do the difficult things first. Seek and talk to the best fit people for the positions that are required to do the best job, what has worked to establish the most preferred PSGE organisational structure and find the people to do the mahi. I think so because insufficient number of iwi members have taken the opportunity and freedom to express themselves in a welcoming and safe place! I think the hui around mandate for entering negotiations were informative and received well. The one thing I would change is the time pressure that the hui had. I understand that this had an underlying reason but for settlement mandate I hope to ensure we take our time (if we need to) to make sure we achieve an appropriate settlement the iwi supports. Ngāti Maniapoto is going through an exciting time with a number of opportunities before us. It is very important that we take the iwi with us on that journey, be they marae, hau kainga, claimants or the 90% who live outside the rohe. Ultimately we all want the best for our iwi. In terms of things I would do differently, I would like to build upon the steps taken in the last couple of years to reach as many of our iwi as possible so they are fully informed and engaged in the process going forward. Only then will we be able to know whether our people agree with the steps the board have taken on behalf of the iwi. Settlement is inevitable the processes as Dan describes are acceptable, however I would not be so tunnel visioned in regards to moving Maniapoto Iwi forward. I would not be so insular in putting ideas forward.Maniapoto Iwi is bigger than the board and world provides the opportunities. I would not do anything differently as Maniapoto have already signed an Agreement in inciple with the Crown and are already bound by obligations in developing a Treaty Settlement. I suppose a difference would be, if I am elected, voters may see my Candidate Statement in my Candidate Profile (reflecting “Walk[ing] Back Into the Future and Vot[ing] Yorkie Taylor… Influencing Building Opportunities for Maniapoto Beneficiaries and Communities”) as an opportunity for transcending entitlements, supporting maximising the assets and minimising liabilities. Very good question as it identifies some dissention within the Iwi which will fester in times to come. I would Defer / Delay the AIP and Settlement hui, and encourage the board (Without the Crown) to engage with those hau kainga dissenting groups to identify and commit to the way forward. Dissention at home does not make for a durable settlement nor future harmonious hau kainga relationships. We have waited some 178 years now, one more won’t hurt us. The setup of the PSGE is also governed by processes required by the Government to achieve this and therefore there is not alot that anyone of us could do differently. The democratic process for this to occur is to hold hui and vote and this process is currently taking place..
19.In the past, many of us beneficiaries have noted the lack of communication disseminated throughout our iwi from former boards. If elected do you have a media and communications strategy? I have ideas that I am confident would give a robust and inclusive methods to help us MMTB achieve our overall organisational objectives. engage effectively with our people via modern/technical and cultural aspects approaches. It frames media activities, including both external and internal communications, defines priorities, time frames, target audiences, staff assignments, and resources. My 30 year broadcasting career will assist here and I do acknowledge the rapid technological advances and development in the industry. Yes – my strategy is to keep informing and inviting people. My strategy as discussed above will translate into other offerings as well such as online reo/environment wānanga, support for marae communications strategies and periodic reporting against our accountability mechanisms such as the annual plan or settlement process. I think significant steps have been made in the previous term in terms of improvements to communication ie. Livestreaming hui, live Q & A on Facebook, website, E Tū Maniapoto app etc. There can always be further improvements. I would like to see the initiatives made in the previous term continued, and improvements made so that we are communicating with as many of our iwi as possible. I believe Maniapoto already has a good communication strategy ie RMC Social Media Maniapoto Irrirangi, the downfall I believe are the representatives sitting at the Board table they are not communicationg back to their people. If elected we need to reveiw the current strategy and ensure representatives are accountable to their RMC This process is not only a boards responsibility, the RMC collectives also need to ensure their representative is being responsible. If elected I am obliged to take part in media and communication strategies (as evident taken place thus far). In saying this I have about two months to get into some means of form. No I don’t have a media and communications strategy in my mind as I don’t profess to know too much about such kaupapa. However as governance I would expect management to have engaged the professionals to advise on appropriate mediums and the board to discuss and finalise one. I agree that this is an area that could be improved. The Board has done alot to develop its COMMS in terms of reaching the iwi through the internet. Perhaps more investment in a more regular feedback loop would be helpful. For Hau Kāinga many within the rohe do not have internet so the Board should invest in a return of sorts to the snail mail system to ensure it is reaching all who are in the rohe. It means that the people need to be vigilant and update their contact details. There is currenlty a media communications person in place and a communications strategy. 20.How often / active are you with your paa? Monthly Te Keeti Marae and Nehenehenui RMC meetings. Not as often as i should be. I am currently involved heavily with Taarewaanga Marae trying to rebuild our wharenui however am admittedly slack with my other marae. As mentioned at the candidates hui, whilst I make every effort to get back to Mōkai Kāinga, I would always like to get back more. In saying that, as Chairman of the Ngā Tai o Kāwhia Regional Management Committee I try to organise regular hui for the marae of our RMC every 2 months. Also, for the last couple of years we have also held a well attended whikoi around our RMC at the end of the year hearing from our kaumatua about wāhi tapu and sites of signicance. I support my whanau who are the Ahi kaa of Maniaroa. In directly I support all Maniapoto Marae by employing and providing workforce training to Maniapoto people. Maniapoto kai mahi supporting Maniapoto. As highlighted in my Candidate Profile- “Marae: Tokanganuianoho; Turangawaewae; Owae; Tekawaupapakainga; Maniaroa; Marakopa; Tekoraha; Rakaunui; Kaputuhi; Tokikapu; Oparure; Otewa; Tekotahitanga; Tekeeti; Tekopua; Purekireki; Paiohauraki.. Iwi: Maniapoto (Confederation); Waikato-Tainui; Teatiawa; Ngati Paoa.. Community Involvement Interests since 1995: .. As a rep of my generation, have maintained whaikorero/waiata/haka, and Marae mahi supporting communities..”. Two of my Tupuna, Taonui Hikaka, then Tohe Herangi, in respective eras, Te Kuiti Paa Marae Rangatira and Marae Committee Chair in the late 19th and early 20th centuries respectively. Jumping forward to the early 21st century, currently my Mother is Te Kuiti Pa Marae Committee Chair (which is subject to significant funding from Waikato-Tainui, and the funds are subject to the agreed distribution by Te Tokanganui-a-noho Marae Trustees). I am often active with my paa. 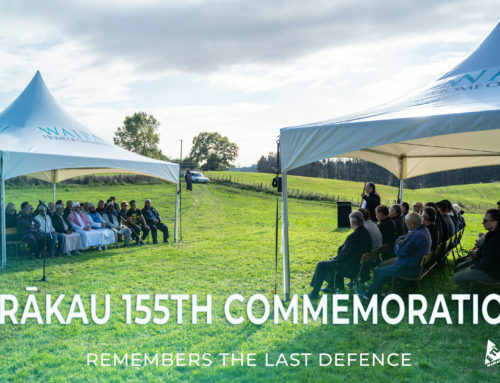 This year I have followed and supported the Te Kuiti Pa Marae hau kainga in the premise and Marae restoration project. I acknowledge and appreciate my Nominators from Te Kuiti Paa hau kainga in supporting my MMTB campaign 2018. Nga mihi ki a tatou, “Kia mau ki teena, kia mau ki teena, kia mau ki te kawau maro o Maniapoto, whanake ake, whanake ake”. “In unity there is strength”. Kia ora. Not as much as I would like, but believe I compensate to some extent by being very active in the regional forum for all constituent paa via TKM. Often – Kotahitanga paepae and kaupapa Wānanga. However I also support through being RMC rep for Kotahitanga Marae and this translates into support of all 12 Nehenehenui RMC Marae. The RMC works together for the bettterment of all affiliate marae. In the past – very active having been the Treasurer for a number of years. Lately, not so active however, I do make a point of calling in whenver I can. To Rawiri Bidois: You state that you are a member of Te Kawau Mārō, is the issue of the debt to the Crown Forestry Trust been paid? To Derek Wooster: If you serve on so many other Trusts / Boards – how would you apportion your time to MMTB fairly? Most MMTB members hold down full time jobs just as I do. To Derek Wooster: You bring a vast array of knowledge and experience to the fore. May I ask with respect, as a candidate and the many hats you wear, would you not see this as a time management nightmare? Would you consider a team leader role and co-share with the ones coming through? An offensive question not worthy of an answer other than to say a number of journals who worked beside me would comtemplate such a question! Voting is open and closes 12 noon on Friday 15th June so get in quick and have your say whānau!